THE CROWN by Nancy Bilyeau ~ impressive debut!! BY THE KING'S DESIGN by Christine Trent ~ review & international giveaway scheduled 13th February. I finished Outside the Lines today. I really liked it. I recently checked out The Underside of Joy from the library. Looking forward to reading it. Thanks Julie, I didn't get much scrapping done but had loads of fun! Glad you had fun with friends. Enjoy this week. I have heard so much about The Crown! I must get my hands on a copy! 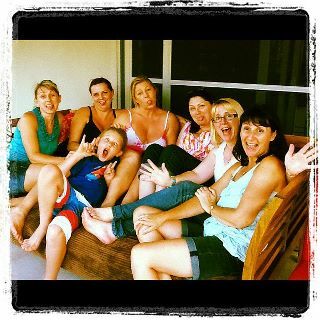 Love the girls scrapbook gathering pic - how fun! Enjoy your books. My daughter's homework requires reading out loud to me. Come see what she and I read together. I also got some other great books finished on my own time. Love the cover for Everneath, it's gorgeous! Love the scrapbook pages! Happy Reading! I just posted a review for The Underside of Joy and my review for Outside The Lines will appear tomorrow. Everneath and The Way We Fall sounds great :) I hope you enjoy both of them. 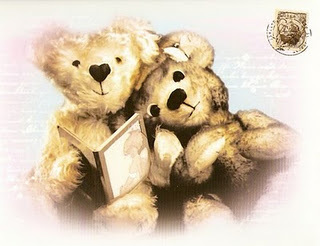 Have a great week reading, Teddyree! I have heard really good things about The Underside of Joy. I want to read The Crown and By the King's Design and I am curious about Everneath. I look forward to your review of it! It looks like you had a great time scrapbooking and I hope you enjoy your camping if the weather is good. I wish it was summer here too but at least we haven't had too much snow or cold yet. I'm eagerly awaiting Outside the Lines, as I loved this author's book Best Kept Secret. I'm curious about Silent Fear, so I'll be checking out this review. Hope you have a fabulous week, whether you go camping or not. Everneath was good! I hope you week is full of more happy pictures and good books! I didn't list The Way We Fall as one of my books to read next week, but I have a sneaking suspicion it's going to worm it's way into my hands! I'll be interested to read your review of Never Eighteen, been flirting with this one for a while! I can't wait to start on Outside the Lines, Amy's first book Best Kept Secret was a favourite in 2011. I hope you get to go camping. Looks like I will be adding Silent Fear to my TBR list. Hope the weather cooperates this weekend. Thanks Nise and I'm sure you'd enjoy Silent Fear!! Sounds like you had a run weekend. This weeks reading list looks so good. Hi teddy rede. 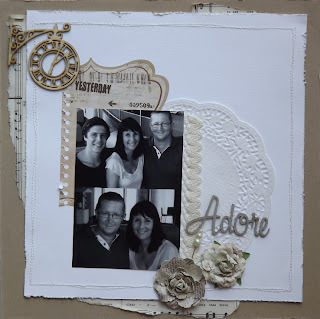 Love the pics of your scrap booking. I emailed you a few days ago re an interview. I hope I haven't been caught in your spam filter. Love, love, love those layouts!!! Hope you're camping as I'm writing this!! !